The bran layer contains most of the vitamins, minerals and fibre, and gives the rice a chewy texture and a richer, nutty flavour. Compared to white basmati rice, brown basmati rice has more fibre, B vitamins (folate (B9), thiamine (B1) and niacin (B3), and trace minerals like, copper, zinc, phosphorus, iron, potassium and manganese. 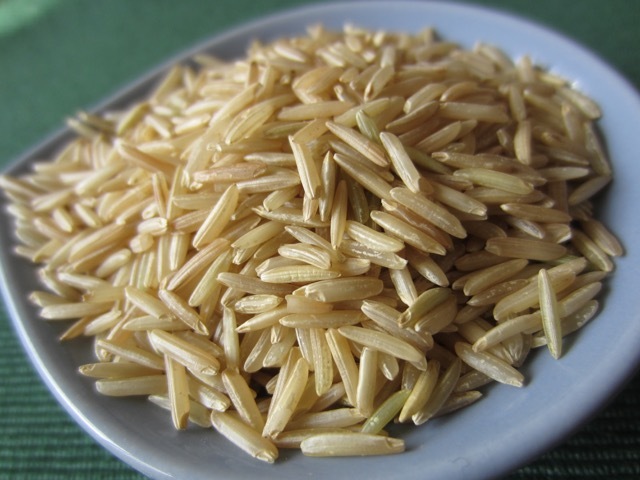 Brown rice is the only form of rice that contains vitamin E.
Brown basmati rice requires longer cooking time because the bran layer acts as a shield against the cooking liquid.